Rap Vs. Country Music: Which Has Better Car Callouts? After the Detroit Auto Show, Jalopnik staffers David Tracy, Raymond Cinemato and I found ourselves making dinner on the few surfaces of Tracy’s kitchen that isn’t covered in car parts. Naturally, we had Spotify cranking, which kicked off a debate about which music genre has better car call-outs. Mr. Tracy and I are in agreement that country music, specifically classics like Alan Jackson’s “Drive,” and Clint Black’s “Nothing But The Taillights,” are on a scale between heartwarming and hilarious, but all relatable and fun. And when George Jones sings “I don’t need your junk yard yet, ’cause I still feel like a new Corvette?” Come on! Classic stuff. The trend of cars (OK, mostly trucks) in country music hasn’t faded with modernization of the genre, either. Brad Paisley’s “Mud On The Tires” is a testament to that. However, I have to admit that rap is also on-point when it comes to calling out cars. And my east coast compatriots Raphael Orlove and Mike Ballaban pointed out: rap has some remarkably creative and specific car references in its lyrics. Dayton wire wheels, Cadillac Escalades, and Bugattis get dropped on the reg. And as Gucci Mane once said: “I keep on hearing voices, telling me to ball, so I keep on buying Porsches, my watch like a portrait. Gorgeous.” I mean, there are so many. Even more if you start counting appearances in music videos. 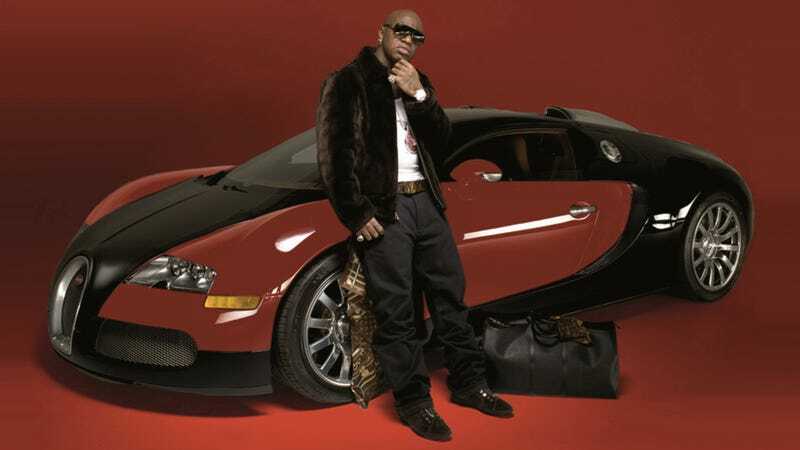 Anybody remember that Mannie Fresh interlude where he trades a Maybach for like 50 Chrysler 300s? Hilarious. Though my favorite rap video fleet might still be the P38 Range Rover, S-Type, C5 Corvette, Hummer and VW Beetle in the “Bling Bling” music video. Anyway, I have to admit I’m a big fan of both these genres and derivatives thereof but I’m sticking to country as my favorite car-song category for now. But that might just be because I’m more into old iron and off-road than luxury SUVs right now. What Was It Like Seeing Your Car Again After You Sold It? What’s The First Car You Were Obsessed With?